Halas Hall made the right decision on Fox. The Chicago Bears went into their head coaching search without a set vision of what they wanted their new field boss to operate like, but there was one thing that general manager Ryan Pace wanted: a man who would establish a team identity that the squad could build around. On Friday, Pace decided on what that identity would be as he hired John Fox as the new head coach of the Bears. Fox comes into Halas Hall with a reputation as a hard-nosed coach that demands respect from his players, and he also has a reputation for turning around defenses quickly and making also-rans into playoff contenders just as fast. An NFL source told NBC Chicago Fox and Pace "hit it off like a perfect marriage." While a lot of the analysis of the Fox hire will focus on his ability to unite the team and not tolerate the kind of shenanigans that took place under the previous regime, there is one thing that has to be said: the Bears’ brass handled this hiring process about as well as they could. Even though George McCaskey and Ted Phillips were talking to coaching candidates before the team hired Pace, they still allowed their new G.M. 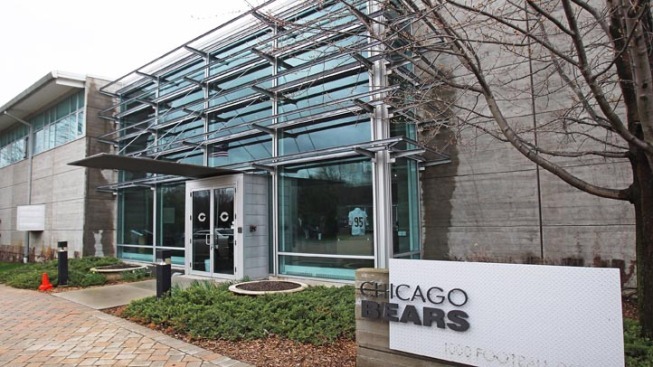 to take the reins and run with them as soon as he walked in the doors at Halas Hall. Within an hour of signing his contract he was talking to Todd Bowles about the position, and a week after being hired by the team he was already heading to Denver to wine and dine the coach that he had fixed his gaze upon as the process went on. The decision to hire Fox comes only four days after he left the Broncos, but there was still a great deal of patience and intelligence shown in the pursuit. Pace was in no rush to land his man in this interview process, and the fact that the team didn’t just slap a contract into his hand on Wednesday shows that they wanted to evaluate things as thoroughly as possible. Pace deserves a big deal of credit here, but so does Ernie Accorsi. The man in charge of consulting the McCaskey family on these hires didn’t simply go to “his guys” on the list, and instead helped point the team in a direction that will ideally lead to sustained success in the Windy City. Pace has been sought after for a long time. Fox is a man who is respected throughout the league. There’s no telling at this point if this union will be a fruitful one or not, but there is one thing for certain: the Bears handled this process well, and their patience ended up yielding them a couple of men who look like they’ll be good fits for a team that is desperate need of a culture change.